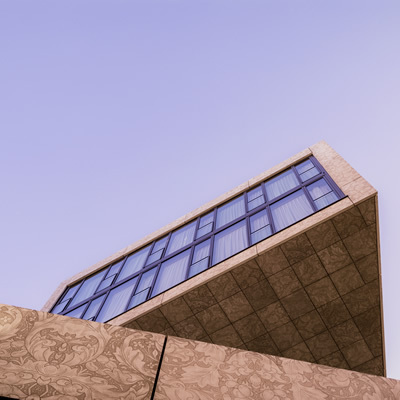 Das Stue hotel can be found located in the former Royal Danish embassy building, just a short distance from the centre of Berlin. This boutique hotel is absolutely breath-taking from the moment you step foot inside. 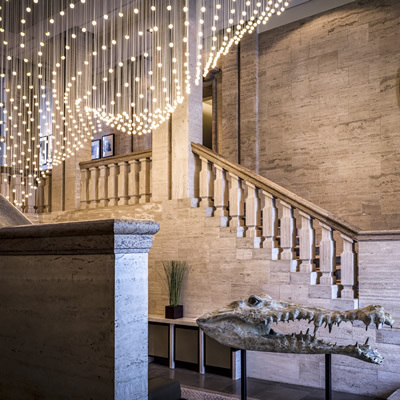 The lobby boasts an incredible crocodile head art installation, framed by strings of suspended lights overhead. 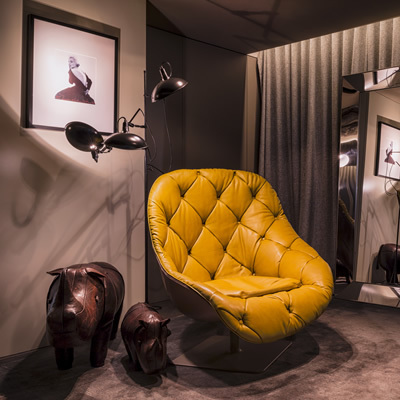 This is certainly a memorable greeting and sets the tone for the interior design which was created by the talented Patricia Urquiola. 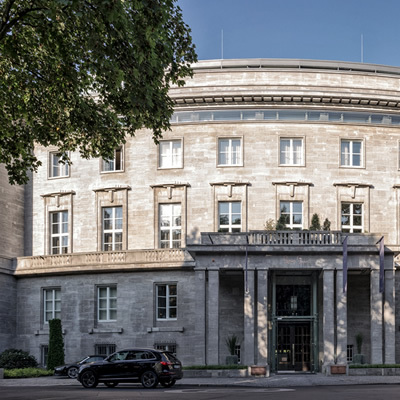 During our stay, we experienced one of Das Stue’s Embassy rooms, which was very spacious and I’m pleased to say that the décor of our suite echoed that of the rest of the hotel. In terms of facilities, this room offered a 27” iMac, which doubled as a computer and a TV, as well as a Nespresso machine that was certainly enjoyed. The bedroom offers a huge king size bed and a comfortable sofa adorning the foot of the bed. The real design focus of this room, however, is clearly the open plan bathroom which can be easily divided off via a huge sliding wooden partition. The bathroom itself is home to a separate bath and shower, a wash basin and a separate toilet. The shower itself was exceptionally powerful and provided a great morning wake-up. 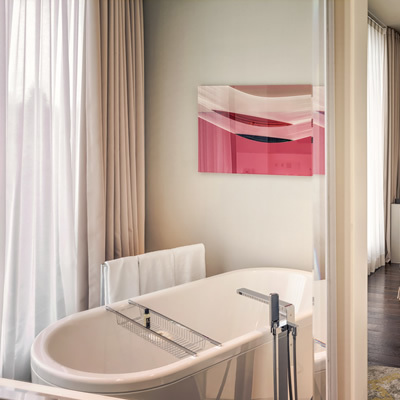 If you’re able to drag yourself away from the delights of your room, it is well worth exploring the rest of the hotel to discover its beautiful interiors and attention to detail. 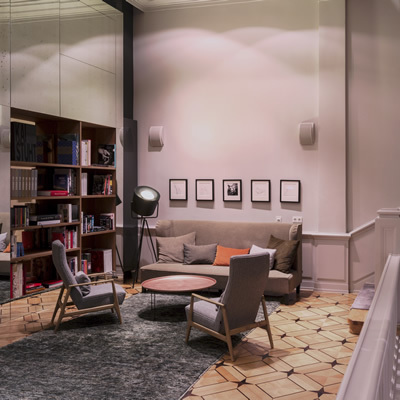 You will find the most wonderful library on the second floor that offers an abundance of comfortable seating, providing the perfect setting in which to curl up with a good book. The hotel also has a trendy bar, which is well worth a visit, along with a casual restaurant and a Michelin star restaurant – Cinco by Paco Perez. This restaurant must at least be seen if not experienced, as it looks absolutely stunning and a superb job has been done in creating a fine dining space. A small garden can also be found at Das Stue, offering the perfect ambiance for an early evening cocktail, or an al fresco breakfast, should the sun be in your favour. You’ll also find a small gate that leads through to Berlin Zoo for which tickets can be purchased from the hotel lobby. 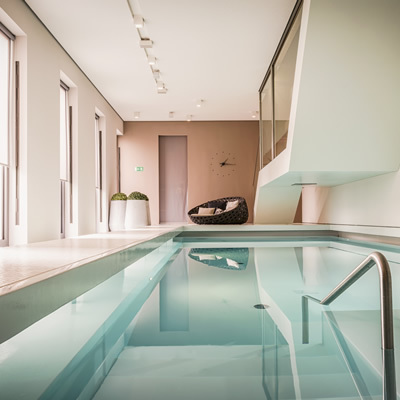 Finally, we must mention the Susanne Kaufmann spa, which is a truly relaxing escape with a fantastic indoor pool and sauna that will help you to feel both relaxed and rejuvenated. The gym also provides state of the art equipment, should you wish to partake in some fitness during your stay. 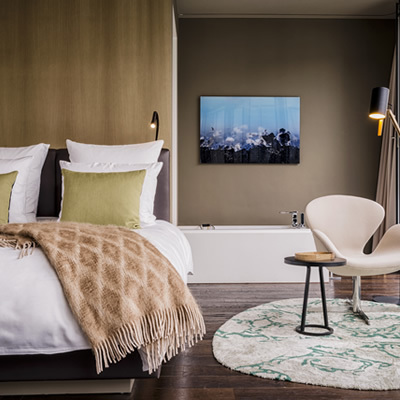 If you’re looking to venture beyond the hotel, Das Stue is located on the edge of Tiergarten, Berlin’s largest park – which is certainly worth exploring, and you can also take a bike from the hotel should you be feeling more adventurous. The staff at Das Stue are exceptionally friendly and are only too happy to recommend places to visit during your stay. We simply could not fault this hotel and cannot wait to return. The Berlin Zoological Garden is the oldest and best known zoo in Germany, the zoo covers 35 hectares and is located in Berlin's Tiergarten - it's a great day out for all the family. Located at the Mühlenstraße in Berlin Friedrichshain. This is the longest open air gallery in the world with 1,316 meters of art which happens to be displayed on the Berlin Wall.